Many people spending a few days in Madrid make a trip to San Sebastian. If you do decide to visit the city, make the most of it by staying for at least a couple of days. Getting from Madrid to San Sebastian is relatively easy, and there are four main ways of doing so. The simplest way of getting to San Sebastian is by car. – As you leave Madrid, take the N-1 heading for Burgos. You can join this from the M40. – Once you reach Burgos, carry on towards Vitoria. In Vitoria, I recommend joining the A-1 motorway. It costs €10, but you save a lot of time. If you don’t want to take the motorway, you can continue on the N-1, although there are lots of lorries and you’re likely to hit traffic. – Once you reach Vitoria, there are two options. 1. Stay on the N-1 and take the old main road to Etxegárate. 2. Take the new AP-1 road (Eibar to Vitoria). It’s one kilometre longer but you’ll avoid the twists and turns of the N-1. It also costs around €10. Without stops, the journey takes around 4 hours. Travelling to San Sebastian by train can be a good option, as once you reach the centre, you don’t have to worry about parking . Departures: See the RENFE (Spanish National Rail) website. Duration: The journey takes around 5:30 hours. If you don’t have a car, this may be your best option. It’s a comfortable journey and the bus drops you off at the bus station, which is next to the Astoria 7 Hotel. San Sebastian airport is very small and doesn’t have many flights. 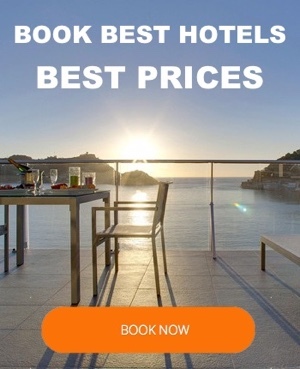 To book a flight, it’s best to consult Iberia.com, the official website of airline Iberia. As you can see, not all of the transport links between Madrid and San Sebastian are ideal. 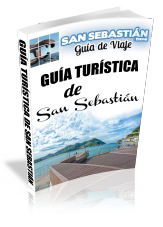 The best options are car, if you have one, or bus as, unfortunately, trains and flights to San Sebastian are somewhat infrequent.